Would it surprise you to learn that to solve a seemingly unsolvable problem, you need to get up and leave the room? A walk in the woods will help you finish your novel? Humming can make you a better tennis player? Or completely giving up is the way to succeed? In The Breakout Principle, the bestselling author of The Relaxation Response delivers the ultimate self-help principle -- simple instructions to activate a powerful biological trigger that converts conflict and confusion into clarity and extraordinary performance, a state athletes refer to as "the zone." More than three decades ago, Dr. Herbert Benson of the Harvard Medical School began research into why some people are devastated by stress while others thrive, turning it into brilliant achievement. Now The Breakout Principle reports the discovery of an easy-to-access inner switch that increases mental function, enhances creativity and productivity, maximizes athletic performance, and enriches spiritual life. The same internal mechanism that improves a tennis serve or golf putt strengthens your speaking skills, makes you a better negotiator, and fosters inner peace and belief. Dr. Benson and coauthor William Proctor explain the cutting-edge science behind the phenomenon in accessible language, clearly describe the four distinct phases of the Breakout, and provide simple, step-by-step instructions on how to activate the Breakout "trigger." Compelling case histories and information on how to incorporate Breakouts into daily life are woven throughout the book. Dr. Benson's previous discoveries have helped millions reduce the harmful effects of stress. The Breakout Principle now reveals how to maximize your untapped abilities and powers. Have you ever noticed that self-improvement books, tapes, and programs often promise the moon, but then don't deliver? • Perhaps no matter how hard you study and practice, they just don't help you at all. • Or maybe they work, but only for a limited time. Either they -- or you -- lack staying power. • Or you are wrestling with some deep fear, grief, or other trauma -- and the program doesn't take your concern into account. • Or a particular self-help program may prove useful, but you still feel shortchanged because you need improvement in several areas -- such as playing golf, public speaking, and developing a consistent prayer life. Yet you lack the time or inclination to concentrate on more than one routine at a time. Most people have had such feelings and have wistfully concluded that what's really needed is an ultimate self-help principle. In the best of all worlds, you might like to find a single, one-size-fits-all solution to your personal needs and aspirations -- a panacea that would combine every personal improvement concept into one all-encompassing, easily accessible formula. Also, ideally, this single concept would infuse you with the personal discipline to stick with the program year after year, as you transform your life for the better. If you've ever found yourself longing for the self-help program to end all self-help programs, I have good news. After my more than thirty years of research at the Harvard Medical School, I've discovered that a fundamental self-transforming principle does indeed exist -- a principle that has been firmly established in exciting new studies on the molecular, biochemical, and neurological levels. What's more, the benefits -- which reach well beyond traditional notions of self-help and have the potential to revolutionize your entire life -- can be accessed through a simple but extremely powerful concept that I call the Breakout Principle. So What Exactly Is the Breakout Principle? The most significant phrase in the above definition is "severs prior mental patterns." Many if not most of the problems we face in terms of blocked creativity and productivity, subpar athletic performance, flawed health, or even stunted spirituality can be traced back to unresolved destructive or negative thought patterns -- such as nagging anxieties, stress-related emotional baggage, or circular, obsessive "mental tapes." But there's more. You can actually learn to turn on a natural inner switch to sever those past mental patterns and activate Breakouts that will transform your daily life. My investigations, which have been published in numerous peer-reviewed journals, have convinced me that this accessible, biological-medical "trigger" can be used to power up creativity, deep philosophical insights, stress-reduction responses, and top-notch professional performance. Learning to activate this trigger can also provide you with what superior athletes call the physiology of zoning, or getting in the zone. In postcompetition interviews, world-class baseball sluggers "in the zone" have reported that 95-mile-per-hour fastballs seemed to be moving in slow motion. Professional tennis players have said that their opponent's bullet serves seemed the "size of basketballs." And top basketball players have reported that when they shoot, they somehow know they are unable to miss. These almost mystical mind-sets -- which typically involve a sense of invulnerability or perfection, effortless activity, or extreme clarity of thought -- certainly aren't limited to superior sports achievement. Public speakers, writers, and other professionals who have entered into similar high-performance states have described their experiences in similar terms. In many ways, then, the Breakout concept does promise to open the door to an ultimate self-help principle that spans the secular to the spiritual. But to understand how the abstract definition applies in a real-life situation, let's consider the rather unusual creative experience of a top management consultant whom we'll call Jason. Jason was facing one of the toughest challenges of his career. A leading management consultant, he had been asked by a major U.S. corporation to take charge of the search for a new chief executive officer. But the problem was particularly difficult and multifaceted. Several top executives in the company were vying for the CEO position, and two had let it be known that they expected to quit if they weren't selected. Opinions on the board of directors diverged radically. Stockholders had even divided into factions over the pending succession -- they knew that the value of their portfolios might be seriously damaged by the wrong choice. Unfortunately, there was no clear front-runner. Even after exhaustive analyses by Jason and his firm, including numerous reports from a leading executive headhunter, the picture remained murky. "To use a grammatical image, it's a compound-complex problem," Jason complained to a confidant. "Extensive research -- but no solution. No obvious heir apparent." So what was required to move the consulting forward? "I need a 'shazam,' " Jason said. "A brilliant way out of my pickle. All the analysis and detailed matrices -- all the research in the world isn't going to help now. Forget additional lists. No more pros and cons. The time's arrived for needlepoint." Needlepoint was Jason's favorite way to escape the day's frustrations. Just as important, the pastime often helped him "think outside the box" -- and come up with million- or billion-dollar solutions. During his career, Jason had learned that monumental amounts of research were necessary to move toward a solution. But after finishing all the hard, plodding research and analysis, Jason often hit an inner wall that intense work and thought couldn't penetrate. In many ways, his experience provided a classic illustration of the Yerkes-Dodson Law, which, as we'll see in Chapter 2, says that efficiency increases with stress up to a point. But if stress continues after that point, efficiency will begin to decline steadily. Although Jason had heard that traditional relaxation techniques were supposed to help control stress, he knew he wasn't the "meditator type." Still, he had found that through needlepoint, he could control his stress and position himself to receive a "shazam." As it happens, Jason was in good company. A feature in the Boston Globe (January 31, 2002, H1, H4), published long after he had embarked on his petit point, disclosed that the male knitting underground included such notables as Oscar-winning actor Russell Crowe; Ethan Zohn, winner of the CBS Survivor: Africa contest; fashion designer Bob Mackie; and network TV executive Stu Bloomberg. One reason for the surge in male knitting, the Globe surmised, was "a need for stress relief during anxious time" (H4) -- which was at least part of the reason Jason pursued petit point. But the consultant was mainly interested in that shazam. "The insight has to come from outside," Jason explained. "It's absolutely essential for me to get away from the job and coworkers. Put myself in a position where my mind can roam around in a completely different space. The best way for me to shift gears is needlepoint." In particular, he had found that when he was working on a background canvas, with only one color and one type of stitch, the work was highly repetitive. Row after row, he executed exactly the same finger movements. As a result, he could "zone out." Most important of all, he could break all previous trains of thought -- and let his mind wander and hover freely, over this or that. "That's when I often get my shazam," he said. But unlike the old superhero Captain Marvel, who had employed the magic word in the comic books Jason had read as a youth, the consultant knew intuitively that it was virtually impossible to mandate a shazam. He couldn't force a brilliant insight. Instead, he had to release any preconceived agenda and be perfectly willing to emerge on the other side of the stitching without any new insight. "First of all, it's best for me to forget the problem -- just let my mind zero out and become a blank," he said. "I'll allow myself to get carried away with mindless repetition. Focus on nothing but those stitches, doing one after the other. Then, the solution may drift into my mind." If that happened, he would "float or hover above the facts. But I won't review them in detail. I'll just watch them, hold them in my head." On this occasion, Jason settled into a comfortable chair in his hotel room and began to stitch a petit point background. As he labored quietly for about fifteen minutes, the activity lulled him into a kind of trance. Random thoughts about the CEO issue drifted into his mind -- and without warning, a solution burst forth. Jason suddenly saw an elegant way to fit together all the difficult, moving parts in the selection process. He concluded that a senior executive with nearly fifteen years in the company and who was only a couple of years from retirement should be given the CEO position. That would satisfy a board faction that wanted him in the top slot. The move would also assuage fears of stockholders and securities analysts who were worried about the continuity of the firm's policies. Another leading candidate -- a senior executive with the company known for his sophisticated, continental tastes -- would be offered the position as head of the company's European operations. Given his predilections, this man seemed quite likely to accept the overseas job. The third main candidate, who was currently working with another company, was in many ways the strongest of all. He would be brought in as second-in-command. Then, when the newly installed CEO retired after two years, he would move up into the top spot. Finally, the fourth main candidate, a young female executive, was favored strongly by some on the board. At the same time, others felt she was not quite seasoned enough. So she would be moved up to third-in-command. This would position her to take over after about ten years -- when the second CEO retired. By deftly moving these executive "chess pieces" around, Jason saw that all the strong candidates could become a vital part of the company for the foreseeable future, with the skills of each fully utilized. Also, none would be sent a signal that he or she was being pushed out or passed over. The result would be a stronger company than now existed, with the CEO succession settled for years to come. Having the major outlines of his solution in mind, Jason was now ready to plunge back into the high-pressured corporate environment and hammer out the details. Although this unusual idea-generating technique worked well for Jason, the same approach obviously won't fly for those who lack a passion for needlepoint. Fortunately, there are other ways to trigger Breakouts and their creative benefits -- not only in business but also in sports, the arts, religion, and an almost limitless range of other pursuits. • Lisa, an avid tennis player, typically played at the top of her game during most of a match -- then fell apart. In the early games, she often found herself playing with effortless, winning strokes. But in the last point or two, when the final outcome was on the line, she hit easy balls out and double-faulted when she was serving for the match. By using a variation of the Breakout mechanism, she was able to stay "in the zone" even when the pressure was greatest. • Rebecca, a novelist, periodically found herself confronting seemingly insuperable roadblocks in her plots. To break through a barrier that was preventing her from getting one of her characters out of a tight spot, she resorted to her usual method of triggering creativity: she stopped work, donned her sneakers, and walk-jogged to a favorite seaside vista near her home. As she strolled and gazed out over the water, an insight popped into her mind that enabled her to make significant progress in her plotting. Without knowing the scientific explanation, she had made effective use of the Breakout. • Ted's primary goal in life was to deepen his spiritual awareness -- but the stresses of life kept getting in the way. Ted found that his faith fell short in helping him manage the cares of daily life. But a study of works by the Counter-Reformation mystic Archbishop Fénelon and St. Augustine caused him to revamp his approach. He determined that when he confronted a crisis in his family, banking job, or volunteer activity, he would "let go" of his worries and accept the difficulty as an opportunity to cultivate his prayer life. As a result, his anxieties began to give way to increasing inner peace. • Sheila, who was extremely sensitive to stress, had chronic high blood pressure averaging 160/95, a level serious enough to require medical intervention. Dietary manipulation and counseling for high-stress family problems failed to bring her readings down to acceptable levels. So her physician prescribed antihypertensive medication -- an ACE inhibitor -- to correct the problem. But then Sheila began to practice a daily mind-calming technique that enabled her to cut her drug dosage significantly. Specifically, the first thing every morning, she would spend ten to fifteen minutes focusing sequentially on tensing and then relaxing every main muscle group in her body, beginning with her feet and moving up through her legs, trunk, arms, and neck. Also, whenever she experienced a tense situation during the day, she would concentrate on breathing regularly and silently, repeating the word peace on the outbreath. After she had employed these techniques for about six weeks, Sheila's doctor recommended that she cut back on her antihypertensive medication, and eventually she went off drugs entirely. She also found that her family difficulties became less burdensome -- largely because triggering these health-enhancing "micro-Breakouts" during the day enabled her to manage her responses to pressure more effectively. • Robert, a trial lawyer, was suffering an almost unbearable case of nerves. As Robert prepared to wind up an important courtroom presentation, he feared that he would be physically unable to make his final appeal to the jury. Even during preparation for the trial, he had suffered occasional irregular heartbeats, insomnia, and panic attacks. But as he rose for his summation, an unexpected wave of calm swept over him -- the result of a "stealth Breakout," as I have come to call certain surprise forms of the experience. As a result, he spoke with exceptional fluidity and eloquence. The full stories of such individuals -- which will be related later in our narrative -- could easily provide the starting points for a series of quite useful, though entirely separate, self-help books. Yet my most recent research at the Harvard Medical School has revealed an astonishing paradox: These seemingly dissimilar incidents -- and others like them -- are all part of the same story. Specifically, dramatic insights and personal breakthroughs -- or Breakouts, such as those described above -- are rooted in the same underlying medical and biological phenomena. Furthermore, even though the challenges and circumstances may be quite different, each Breakout event is triggered in precisely the same general way. In short, if you can grasp what has helped you improve your tennis serve, you'll understand what it takes to strengthen your speaking ability. And if you can learn how to stimulate creativity on the job, you will be able to take giant steps toward improving your health -- and even comprehending the biological foundations of your spiritual life. During the past three decades, I've been able to do some original scientific work at Harvard -- such as identifying the relaxation response and exploring the impact of personal beliefs and spiritual practices on human health and well-being. The Breakout concept represents the culmination of these years of medical research. How is the Breakout Principle related to my previous work on the relaxation response? The Breakout is rooted not only in the previous physiologic research on the relaxation response, which measured cardiovascular and respiratory responses, but also in a wide range of new scientific methodologies and disciplines, such as brain imaging, molecular biology, and biochemistry. Furthermore, the Breakout Principle incorporates all the health benefits of the stress-reducing relaxation response. At the same time, it opens the door to entirely new applications -- such as in creative breakthroughs, spiritual insights, greater productivity at work, and enhanced athletic performance. Several fundamental scientific principles underlie every Breakout. Although subsequent chapters will go into more detail, this summary of Breakout science should provide a useful starting point. power to maximize health, mental ability, and physical performance. Before a self-improvement program can work effectively, significant emotional roadblocks -- such as deep phobias, debilitating stress, or other emotional traumas -- must first be swept away. In other words, you cannot hope to maximize your ability to think creatively at work, lower your handicap in golf, or succeed with any other self-help system if you're preoccupied with depression, anxiety, or overwhelming grief. Sometimes, these inner obstacles are so serious that they must be dealt with professionally, either through counseling or medications. But in many cases, interfering emotional barriers can be minimized or eliminated automatically through the Breakout mechanism. The reason for this is that every Breakout is rooted in our innate, self-healing, stress-reducing biological and biochemical package, which inspired the great Greek physician Hippocrates to extol the natural restorative abilities of the human body. In ancient Latin, these inherent powers, which we possess from the womb, were called vis medicatrix naturae -- or the "healing power of nature." We now understand that this natural healing and energizing capacity works remarkably well on several fronts. For instance, only about 25 percent of medical complaints that bring patients to health care professionals can be diagnosed and treated effectively by drugs, surgery, or other scientifically based medical procedures. Most of the remaining 75 percent will eventually improve as the body responds on its own, without medical intervention. The Breakout Principle is rooted in these same self-healing powers. The innate physiology that promotes better emotional and physical health has also been associated with enhanced self-awareness, creativity, job productivity, intimacy in relationships, athleticism, and spiritual transcendence. Or to put this another way, you have been born with an array of biological triggers that you can "pull" to activate life-changing Breakouts. To trigger a Breakout, you must sever completely your previous train of thoughts and emotions. This decisive disruption of prior mental patterns will enable you to shift your focus into new and more productive directions. Achieving such a break in your old mental tapes is an absolute prerequisite if you hope to experience dramatic new spiritual insights, creative breakthroughs, or leaps to new heights of professional or athletic achievement. Chapter 2 will provide a much more detailed description of how the relatively simple but extremely powerful mechanism of the Breakout trigger works. A common corollary to the basic Breakout Principle is that to break prior mental patterns, it will often be necessary to quit concentrating on yourself. You must disregard the way you are performing, or the way you are appearing to others -- and dwell instead on what's happening outside your narrow orbit of self-interest. Sometimes, you may have to find a way to replace your chronic egocentricity with altruism. Or it may simply be necessary to shift your focus from old, negative mental habits to promising new possibilities -- even if you still don't quite know the exact nature of those possibilities. Years ago, I believed that to do a good job in a lecture, I had to stay tied to a script. As a lecturer in physiology at the Harvard Medical School, I would write out my entire talk, go into the amphitheater the night before my presentation, and practice the whole lecture out loud. Then one day, a student said, "You're such a great teacher when you're one-on-one. But why are you so stiff when you speak to a group? Drop your notes!" After another professor gave me substantially the same advice, I finally decided to take a chance on their counsel. I threw away my notes entirely for one lecture just to see what would happen. From then on, my public speaking was never the same. As I abandoned my fears of making a mistake and focused instead on my listeners, my anxiety disappeared and I discovered I could communicate with great freedom. More recently, as the keynoter at a convention of several thousand psychotherapists in Los Angeles, I felt literally at one with the entire group. It almost seemed that my mind melded with theirs. As I scanned the sea of faces, I understood exactly what they needed to hear from me, and the words came out effortlessly, as though someone else were speaking. A standing ovation confirmed that, somehow, I had connected with them on a deep plane -- and without relying on a single note. Although I didn't understand at the time what was happening, I realize in retrospect that, during that address, I had experienced a dramatic Breakout. Just as important, as I related with that audience on a profound emotional level, I was caught up in a genuine peak experience -- one that bordered on the mystical and would enrich my life for months and years to come. My secret to unlocking these benefits was simply to dare to challenge my fears, throw away my notes, and look my audience in the eye. But a vast number of other pursuits may also help you leap out of an unproductive mental or emotional track -- and trigger Breakouts of superior achievement, insight, or creativity, which in turn lead to life-changing peak experiences. A few such triggering activities that I've observed in my research include walking, jogging, swimming, artistic expression, showering, housework, a relaxing meal, helping others, and traditional prayer. Or who knows? You might even use something as unlikely as needlepoint skills to produce a Breakout. 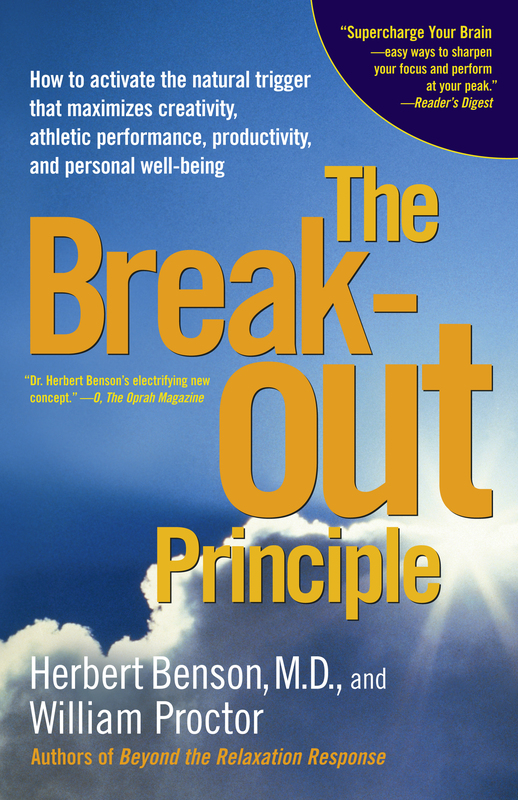 Principle #3: As a Breakout begins, your body and mind move through a series of distinct, identifiable stages. • The process begins with a hard mental or physical struggle. For a businessperson, this may be a concentrated problem analysis or fact-gathering. The serious athlete may engage in extensive and demanding physical training. The person on a spiritual quest may plunge into concentrated study, a "dark night of the soul," or intense prayer, meditation, or soul-searching. Sometimes, this initial, struggle phase may begin involuntarily, as a result of some traumatic outside event. For example, I've encountered numerous people who have been devastated by the death of a loved one, a deep-rooted phobia, or an outside calamity, such as the 2001 terrorist attack on the World Trade Center and the Pentagon. The classic Holmes-Rahe "social readjustment scale" lists those life events and changes that are most likely to cause stress. According to this measurement, the top five in descending order of impact are death of a spouse, divorce, marital separation, a jail term, and death of a close family member (Journal of Psychosomatic Research 11 : 213). Victims may not choose these assaults on their emotional well-being, but they can choose to begin to deal effectively with them -- through the Breakout process. • The second stage involves pulling the Breakout trigger. This event, which directly follows the struggle, has been variously described as "letting go," "backing off," or "releasing" your mind from the hard-work mode. The most important characteristic of this second stage is that pulling the Breakout trigger must completely sever prior thought and emotional patterns. Our research has demonstrated that characteristic biological and molecular responses occur when the trigger is pulled. • The third stage in the Breakout process is the Breakout proper, coupled with a peak experience. The Breakout will always be accompanied by a greater sense of well-being and relaxation. In addition, this new, unstressed mind-set will often lead to such peak experiences as the creative business insight that came to Jason after his needlepoint retreat. Inevitably the peak will involve something unexpected -- a surprise that produces unanticipated new ideas or higher levels of performance. • Finally, the Breakout cycle finishes with a fourth stage, which involves returning to a "new-normal" state -- including ongoing improved performance and mind-body patterns. In other words, those who have enjoyed a Breakout must always reenter the world of struggle and stress. But having undergone the experience, they are now in a much stronger position to rise to greater achievements, or to generate more profound ideas and insights. The following visual sequence represents our attempt to picture these four stages, but as you consider this pattern, remember this: The Breakout Principle, which arises from highly complex neurological, biochemical, and physiologic interactions, cannot be captured fully in two-dimensional diagrams, or even in technical language. As we will see in later chapters, the Breakout mechanism involves nonlinear mental processes that might be depicted more appropriately in some multidimensional matrix or hologram. But despite these limitations, this picture should provide you with a better understanding of how the Breakout sequence may flow inside your mind and body. Also, further details and insights will emerge as we will continue to build upon this basic diagram in our later discussions. and body quiet down to open the way for a Breakout and peak experience. For example, fMRI (functional magnetic resonance imaging) graphs in studies I've done with neuroscientists led by Sara Lazar at the Massachusetts General Hospital and Harvard Medical School have revealed a shift to a remarkable calming of body and brain during relaxation exercises (NeuroReport 11 : 1581-85). Principle #4: Activating the trigger appears to cause your body to release puffs of nitric oxide -- a response that counters stress hormones that can impede a Breakout. Perhaps the most startling scientific concept to explain the Breakout mechanism is that the calming response -- or "release" -- that typically precedes a Breakout may cause the body to release increasing amounts of nitric oxide throughout the body. This nitric oxide (NO), in turn, counters the negative effects of the stress hormone norepinephrine (noradrenaline). Among other things, norepinephrine causes a racing heart, high blood pressure, anger, anxiety, and greater vulnerability to pain. The benefits of an increase in nitric oxide were discussed in a 2001 article that George Stefano, Gregory Fricchione, Brian Slingsby, and I coauthored (Brain Research Reviews 35 : 1-19). The overall calming of the mind and body -- which I identified in scientific studies almost three decades ago as the relaxation response -- is also associated with a number of stress-reducing events that extend well beyond the brain. These include reduced blood pressure, lower heart rate, and an overall lowering of the metabolism. I sometimes refer to the gaseous puffs of NO -- which have been described in the above coauthored article -- as the biological analogue to the Hebrew theological concept ruah (ruwach), or the Greek pneuma. These terms, which are used extensively in the Old and New Testaments and are translated as "spirit," "breath," or "wind," are often associated with the divine presence that instills spiritual confidence and inner peace. The full implications of our ongoing studies on nitric oxide, which have sparked considerable interest in the scientific and medical communities, will be presented in some detail in Chapter 3. Principle #5: A "peak experience" often follows a Breakout. The late, noted psychologist and Brandeis professor Abraham H. Maslow -- writing forty years ago, before modern neuroscience had burst on the scene -- did some preliminary exploration of the concept of the "peak experience" in his descriptions of a human "hierarchy of needs." These began at the lowest level of "physiological needs" (e.g., oxygen and nutrition) and moved up to the highest plateau of "being needs," or "self-actualization." Maslow argued that the greatest personal creativity, well-being, and philosophical understanding became possible when a person moved up to the highest, self-actualization level. Furthermore, at the level of self-actualization, the individual was more likely to have a "peak experience," characterized by great insight, freedom from fear and anxiety, and a sense of being unified with an infinite or eternal dimension of reality. When he died in 1970, Maslow was still in the early stages of formulating his peak-experience concept -- which is actually a common theme that runs through most of the world's great religions. At times, he got off track, such as by suggesting that psychedelic drugs might be a valid way to trigger these phenomena. But he was quite correct in contending that most people are capable of having "plateau" and "peak" experiences, which may range from creative insight to mystical transport. In an insight consistent with our more recent research findings related to the Breakout, he also saw that these experiences required a "shift in attention" or "attention-change" that broke prior trains of consciousness. But Maslow remained at a loss about how to trigger high points of human consciousness, and he conceded that further research was required. I believe we now have the necessary research at hand to take the next step: We can actually begin to teach practical strategies to trigger Breakouts, which will open the door to various peak experiences. • The Peak of Self-Awareness -- a new level of self-understanding that provides the solid inner platform for all self-help efforts (Chapter 6). • The Peak of Creativity -- which allows you to surmount mental roadblocks and experience new insights in your work or avocation (Chapter 7). • The Peak of Productivity -- which can provide an infusion of personal energy that will exponentially increase stamina, endurance, and strength at work or at home (Chapter 8). In this chapter, we'll not only explore individual productivity but also introduce ways that teams in an organization can combine their individual creative abilities into an even more powerful force that I call a Breakout Network. • The Peak of Athleticism -- which results in much better achievement in sports, exercise, and other physical activities, including the possibility of entering the "zone" of superior performance (Chapter 9). • The Peak of Rejuvenation -- which will provide you with better health and protection against disease (Chapter 10). •The Peak of Transcendence -- which encompasses the possibility of experiencing deeper spirituality (Chapter 11). Finally, as we conclude our discussion in Chapter 12, you'll encounter a recurrent theme that may be the most important factor of all for triggering many Breakouts and peak experiences. I'm referring to the power of personal belief. A complete explanation of what happens with many Breakouts may be possible only if we import insights from the "theological," "religious," or "spiritual" realm -- a domain that has far too often been maligned by Western scientists. Many people have reported to me that only after prayer or an encounter with a divine presence have they experienced the kind of powerful Breakout that can produce an ongoing state of improved health, self-awareness, or more productive relationships. For example, many of those who have found lasting ways to overcome serious problems with substance abuse, such as drugs or alcohol, have started their road to recovery through a Breakout event. Also, these individuals typically understand their personal transformation in spiritual terms, such as being sustained by a Higher Power. It may be hard, if not impossible, to explain in the limited terms of Western science how an amorphous "spiritual" force might contribute to human self-improvement. But significant efforts to link science and the spirit continue at Harvard and elsewhere. In discussing the peak of transcendence, I'll share with you the results of our latest studies that employ scientific tools and techniques to probe the mysteries of prayer and "intrinsic belief" -- or the profound kind of faith that completely transforms lives. Some may find our observations and studies on prayer and belief puzzling or even disturbing. A few may even become angry with some of our findings. But I trust that most readers will come away with the clear impression that modern science and the "spiritual" realm are really complementary, and not competitive. Also, as we use scientific tools to probe the domains of religion and spirituality, I feel confident that thoughtful readers will agree that, given the difficulties inherent in such an inquiry, complexity and profundity must consistently prevail over the simplistic explanation or the easy answer. Now, let's move beyond this brief overview and begin to explore the Breakout experience in more detail -- including the precise ways in which the all-important trigger can be activated. Copyright © 2003 by Herbert Benson, M.D., and Inkslingers, Inc.
Herbert Benson, MD, is the Mind Body Medical Institute Associate Professor of Medicine, Harvard Medical School. He is the author of the mega-bestselling book, The Relaxation Response, as well as ten other trade books. His groundbreaking work established the modern field of mind body medicine. Dr. Benson is the Director Emeritus of the Benson-Henry Institute for Mind Body Medicine at Massachusetts General Hospital. 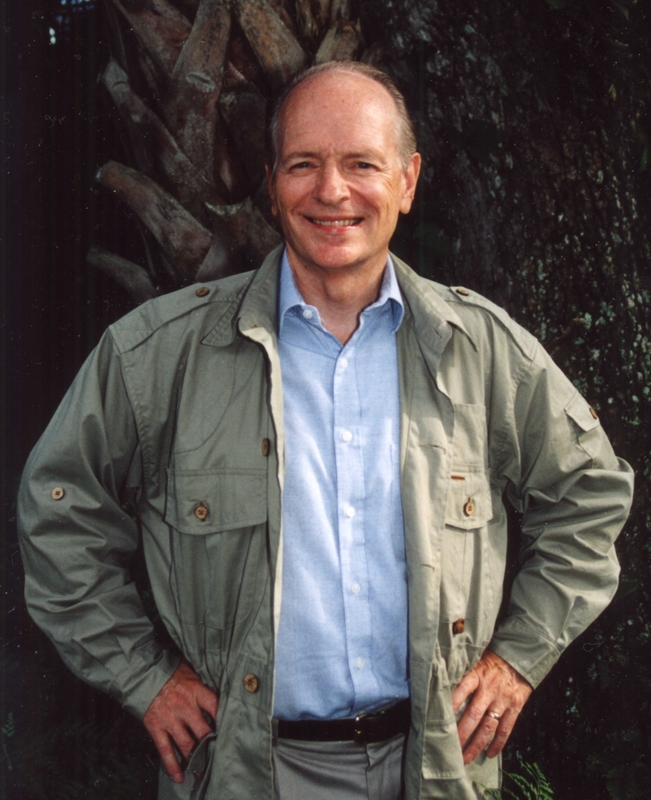 William Proctor, JD, is a graduate of Harvard College and Harvard Law School and has written or co-written more than 80 books, including Beyond the Relaxation Response with Dr. Benson; The Templeton Touch with Sir John Templeton; and several international bestsellers with the “father of aerobics,” Dr. Kenneth H. Cooper. W. Timothy Gallwey author of The Inner Game of Tennis and The Inner Game of Work Timely and profoundly insightful, this book takes us one more important step toward the possibility of enjoying life free of injurious stress. Rabbi Harold S. Kushner author of When Bad Things Happen to Good People After clearing away the debris of anxiety with The Relaxation Response, Dr. Benson now teaches us to build a wonderful new structure of confidence in the clearing. 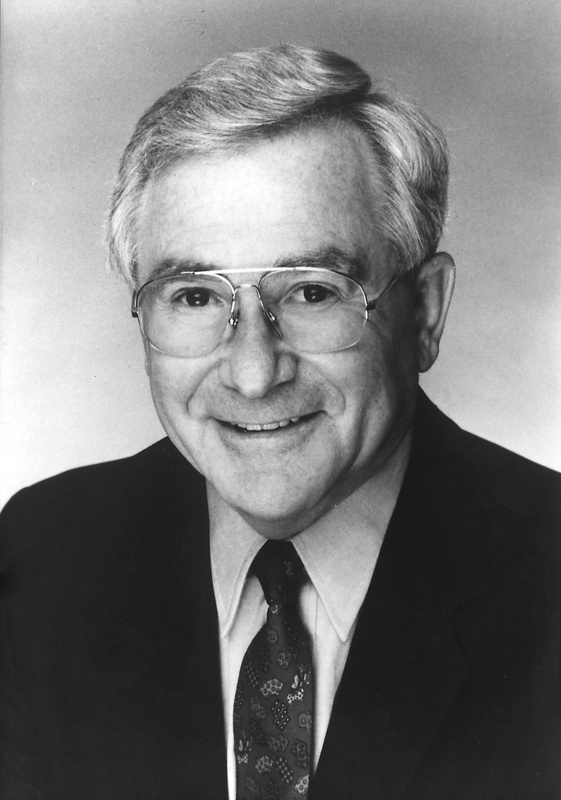 Bernie Siegel, M.D. author of Love, Medicine & Miracles and Prescriptions for Living Anyone with inspiration and the desire to change will be guided in the right direction by the wisdom, experience, and words of Dr. Herbert Benson. George Gallup, Jr. Cochairman of The Gallup Organization The Breakout Principle is a breakthrough book. Herbert Benson is a leading-edge thinker, and the result of his teaming up with William Proctor is a book that is not only fascinating for its insights but also of great practical value, helping readers "zone out" and view life from a totally new perspective. Reverend Theodore M. Hesburgh, C.S.C. President Emeritus, University of Notre Dame Herbert Benson, M.D., and William Proctor have been enlightening pioneers in their studies of The Breakout Principle. Now their work can be shared by everyone, not just health-care practitioners. This imaginative book is highly recommended. Sir John M. Templeton founder of the Templeton Prize for Progress and Templeton Growth Ltd. Dr. Herbert Benson and Mr. William Proctor have proven their top talents and diligence. Millions of people can benefit from The Breakout Principle.